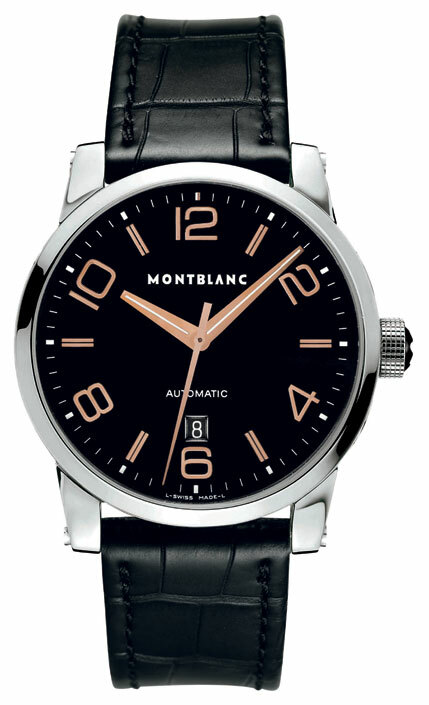 Briefly: Watchmakers Johnny Girardin and Franck Orny are the duo behind Mont Blanc’s Metamorphosis, the first watch that functions independent one from the other, operating individually which may appear by choice one after the other on the same position. Girardin (35) is a movement constructor and engineer who specializes in watches while Franck Orny (41) is a construction-engineer specializing in horological fabrication and has attracted attention for his unusual and elegant horological complications. Both work with Telos. Orny replied to an email interview with Watchalive! Its’ said the idea to make Metamorphosis came from the movie Transformers where robotic figures morph from humanoid shapes into cars etc. Please elaborate. We were on a family holiday in 2008 (skiing) and it is when we saw children watching or playing transformers that the idea was born. Why not make a watch that is one and then turns into another! And that the holder can choose according to his schedule, his feeling or usefulness. It changes the relationship between the object and the one who wears it, and is a completely new path in watch making. With 567 individual components in a 4.3 mm-slim sub-assembly and harmonising the same with Caliber 16 makes the Metamorphosis one of the most complicated. How did you go about doing it? The base Caliber 16.29 includes 252 pieces in about 7 mm on which the whole function of chronographe minutes had to be rebuilt. The “Metamorphosis” complication is 315 pieces in 4.3 mm meaning 567 pieces in total of the watch in 11 mm height. A high end double-tourbillon or minute repeater generally has 350 to 380 components in total. Yes, Metamorphosis is a major complication! The “Grand Sonnerie” is above this. Do explain the chorography which you were able to achieve and now have been filed a patent for the same. The idea came to us on December 28, 2008 and we conducted a global research whether anything like this had been thought of or ever done before. After this research turned out fortunately to be negative, we filed the patent. Metamorphosis is the first watch that functions independent of the other operating individually which may appear by choice one after another on the same position. This general aspect – not only its technical implementation – is patented. On purpose, and with agreement of Montblanc, the patent remains the property of Telos. What is the relevance of displaying the civil time in Roman numerals and the chronograph dial in Arabic numerals? Has it been done to give each its identity? Yes, the change of numbers (and the entire design) is to get a different aesthetical identity of each face of the watch while at the same time keeping a very technical and “horological” spirit of both faces. This system is innovative and truly unique both in its function and in the way it has been technically constructed. This is the first time that a function disappears in a watch and another one appears on the same spot! This fact is of course also included in the patent. As soon as the slide on the left-hand flank of the case is pulled downward from the “10” to the “8,” the timepiece, I’m told, transforms into a chronograph within approximately 15 seconds. Is there any significance to the duration? The time 15 seconds is chosen so that the owner can have enough time to appreciate the transformation of his watch. The 15 seconds duration is not a technical necessity, but it is important not to let it go too fast. How long did Metamorphosis take—from the design stage to making a prototype? Normally such projects take from three to five years but in the case of Metamorphosis we were a bit faster! The idea came to us in December 2008 and we presented it to Mont Blanc in January 2009. We started work right away. The technical study began in February 2009 and was completed in October and the assembly of the first prototype was completed in January 2010 to be presented at Geneva’s Salon International Haute Horlogerie 2010. It was an extremely challenging project and both of us, as well as the watchmakers at Montblanc had to push their limits. We expect to delivery the first pieces before Christmas 2010. Do tell us about your work in Telos? Telos holds the patent of the concept of the “Metamorphosis”. We did the full technical development and integration on the Montblanc Calibre 16.29 in close collaboration with the departments from Montblanc in Villeret. 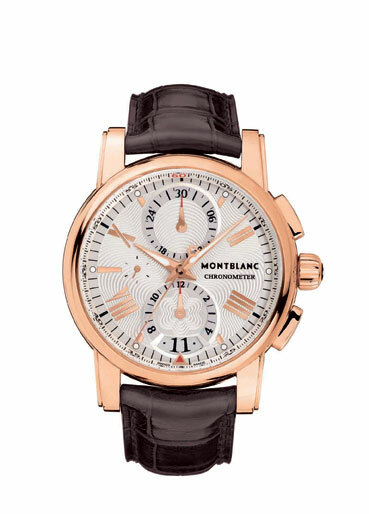 The design of the watch was developed jointly by Montblanc’s designers and the watchmakers around Demetrio Cabiddu who worked enthusiastically in translating the technical plans into a working piece. In future, we want to establish Telos as a company offering development services, fabrication and turnkey delivery of concepts on the basis of patents filed and proposed for different brands in an exclusive way. Telos can also participate, monitor and integrate the basic idea proposed by customers.